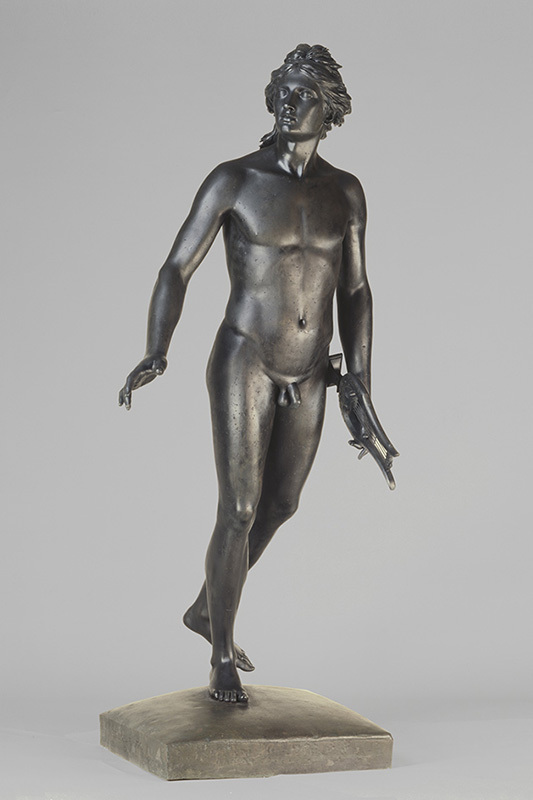 Two collectors from the same era with a common passion: the collections of French sculpture assembled by Calouste Gulbenkian and Carl Jacobsen are shown together for the first time in a touring exhibition that opens at the Calouste Gulbenkian Museum, before travelling to the Copenhagen Glyptotek. Although Calouste Gulbenkian’s sculpture collection is smaller, the works that the collector acquired over his lifetime reveal surprising connections with the Danish works. The convergences between the two collections are evident not only in the sculptors represented, but also in the themes and in the sculptures themselves – on more than one occasion, we find different versions of the same work with variations of scale or material. These interesting coincidences form the basis of this innovative exhibition, which arranges a selection of thirty timeless works into groups according to the poses of the figures. Some of the artists who helped define the nineteenth century in France, such as Rodin, Carpeaux and Dalou, are central figures in the five key themes that make up the different sections of this exhibition. Discover some of the works of the exhibition in 360º. The virtual tour requires high data consumption, we recommend that mobile data not be used. It is not always possible to tell, just by looking at a sculpture, if a model actually posed for the sculptor. 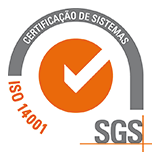 This task is more difficult in the case of representations of children, who naturally find it more difficult to maintain the same position for a long time, above all because their bodies are still developing. There are photographs that confirm the presence of child models in artists’ studios and in some situations it was the artists’ own children who posed, at times for hours and in uncomfortable positions, as in the case of Carpeaux and his Wounded Cupid. 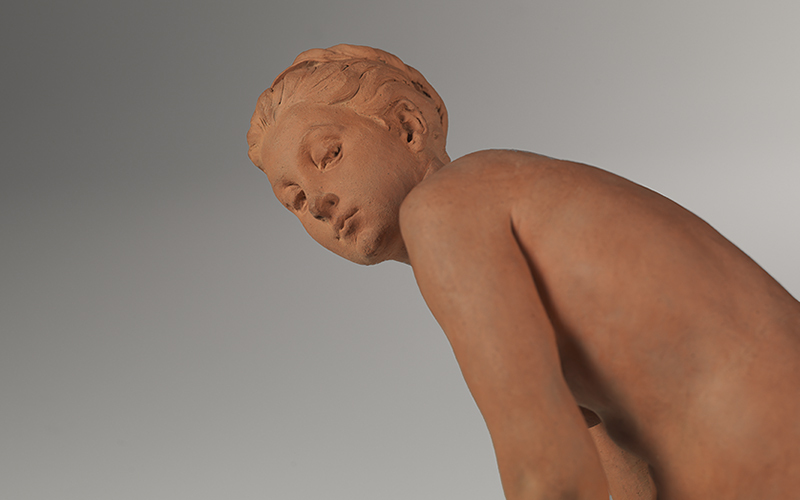 However, when life models were not available, sculptors used mannequins that, unlike models, remained in complex poses for an unlimited amount of time, and could also be positioned according to the artist’s needs. When can we be sure that there was no pose? During sleep, when the model is not aware of being observed, as in Carpeaux’s work Seated Woman Sleeping, based on the sculptor’s observation of his wife; or in death, when the model is of course unable to pose. Representations of crouching figures date back to antiquity. While this theme is not exclusively associated with the private life of women, there are many classical versions of crouching female figures, particularly the goddess Venus, usually engaged in daily activities such as bathing. In many of these sculptures, the models appear to have been captured unawares and they conceal the most intimate areas of their bodies. Nineteenth-century sculptors were inspired by ancient sculptures but sought to introduce new elements. The theme of the crouching figure is common in the work of Carpeaux, a key figure in this section. His Flora, whose original plaster model is included in the exhibition, as well as a later marble version, was inspired by two subjects from antiquity: Venus at her toilet and Venus emerging from the waves. This combination of themes may have been inspired by painting, but it becomes innovative due to three-dimensionality, which allows the viewer to observe the figure from different points of view. Flora both displays and hides herself in a game with clear sexual connotations, inviting the viewer to move around her. Demographic decline and infant mortality remained high throughout the nineteenth century in France. As a result, the representation of children became central, particularly after the 1870s and the Franco-Prussian War. 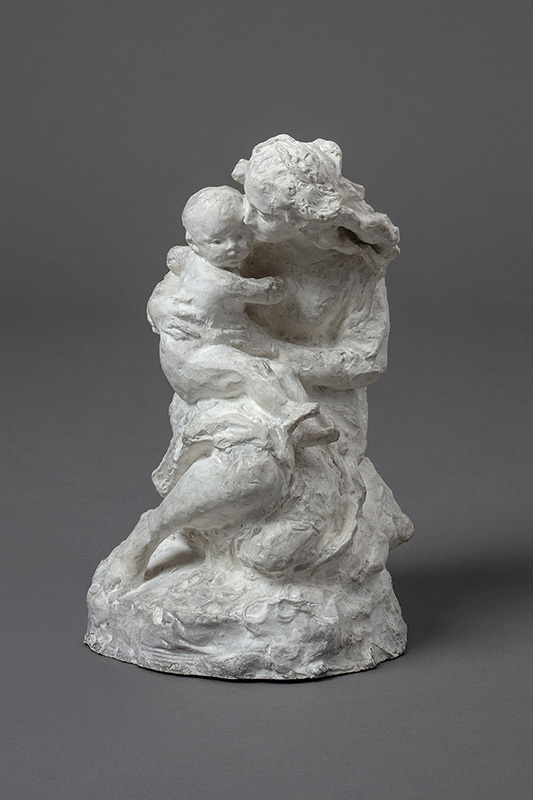 The works in this group, by Dalou, Carpeaux and Dubois, depict motherhood, a recurrent theme throughout the history of art. To create these scenes of tenderness, the sculptors observed their own families, taking their wives and children as their first models. 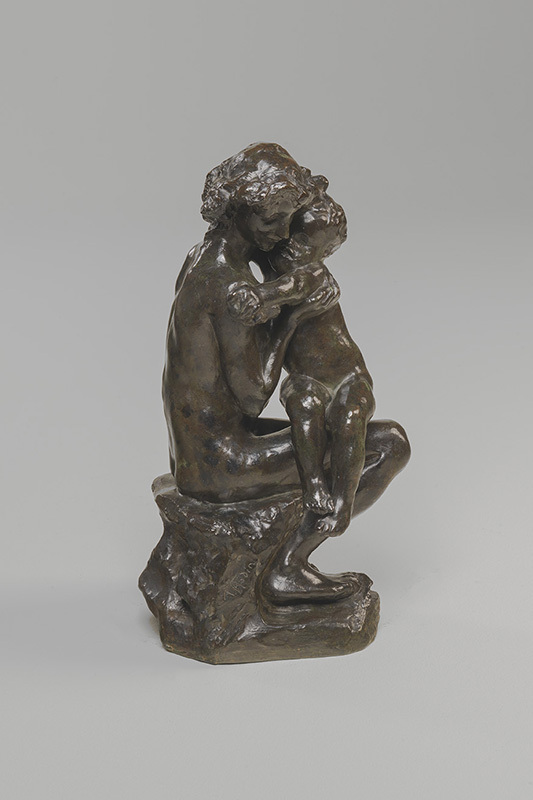 The Young Mother in Carpeaux’s sketch was inspired by his oldest son, being consoled by his mother during a sad moment. Dalou also became known for his portrayal of various maternal scenes, of which Paysanne française was the first example. However, these family scenes would subsequently draw inspiration from models from the classical art tradition, such as images of the Virgin with the Child on her lap, or nursing, which emerged in the second century AD and continue to influence artists to the present day. Any sculpture formed of more than one figure is a group. 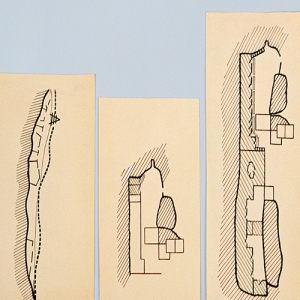 The figures may be side by side, far apart, or touching, creating different connections between them. Certain famous intertwined figures left their mark on the history of art, inspiring sculptors to create their own compositions. Rodin was one of the sculptors to tackle this theme and, within the works selected for this section, there are examples of sculptures representing different relationships: the relationship between couples, such as the marble and bronze versions of Eternal Spring, and family relationships, such as Brother and Sister. The work by Puech that also features in his section, Winged Siren Seizing an Adolescent, introduces another theme: the discovery and uncertainty of love. Inspired by the sirens of Greek mythology, who enchanted sailors, luring them into dangerous waters, this was the first sculpture acquired by Calouste Gulbenkian. The Ny Carlsberg Glyptotek has a later example on a larger scale, the only marble the same size as the original created by the sculptor, which will be included in the exhibition in Copenhagen. The last section of the exhibition returns to one of the earliest themes in art: the upright figure, either standing still or moving. 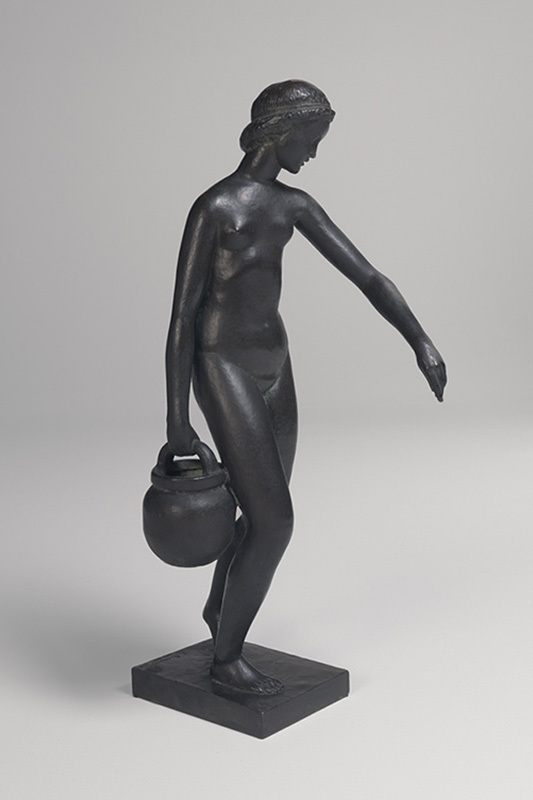 In contrast to the crouching figure, the upright figure is more often male than female; however, the examples contained in the two collections are not exclusively male, as we see in Bernard’s Young Girl with a Pitcher, one of the works that closes the exhibition. The influence of classicism on French sculpture remained significant until the late nineteenth century. Houdon’s Apollo is a clear example of classical inspiration, in pose, theme and style: depicted naked and in movement, the sun god seems to float rather than walk. Rodin also tackled the upright figure. Based on a life model, The Age of Bronze sealed his reputation as a sculptor. While the sculptor drew on classical references, he also imbued the statue with a significant degree of realism, contrasting with the smoother and more homogenous surfaces of the classical ideal of the time. The Age of Bronze was among the first group of sculptures that Jacobsen commissioned directly from the artist.